Travel agents can work in a variety of environments. Some work specifically with those traveling for personal reasons, while others work for corporate clients. Authorized travel agents work for agencies that not only book corporate travel, but are specifically authorized by the state or federal government to provide travel services to government employees traveling on business. Expand your knowledge of travel destinations. The travel career field requires a more-than-average knowledge of popular travel destinations. An authorized travel agent will need to expand this knowledge to include common government-business destinations such as Washington, D.C.
Take travel classes from your local community college or online. Very few bachelor's degrees are available specifically in travel. However, plenty of community colleges and online programs provide the training necessary to work as a travel agent. Get your bachelor's degree. Since authorized travel agents work for government-approved travel agencies, most of these agencies require additional education to be considered for a position. Getting a bachelor's degree in business or hospitality management can substantially increase your chances of being hired. Gain experience. Many travel agencies will hire students while they are still in college. Even if the travel agency is not state approved, it will still give you the hands-on experience needed to increase your chances of being hired at a state-approved agency. Consider working for an airline as a gate agent to increase your knowledge of the industry. Become certified. 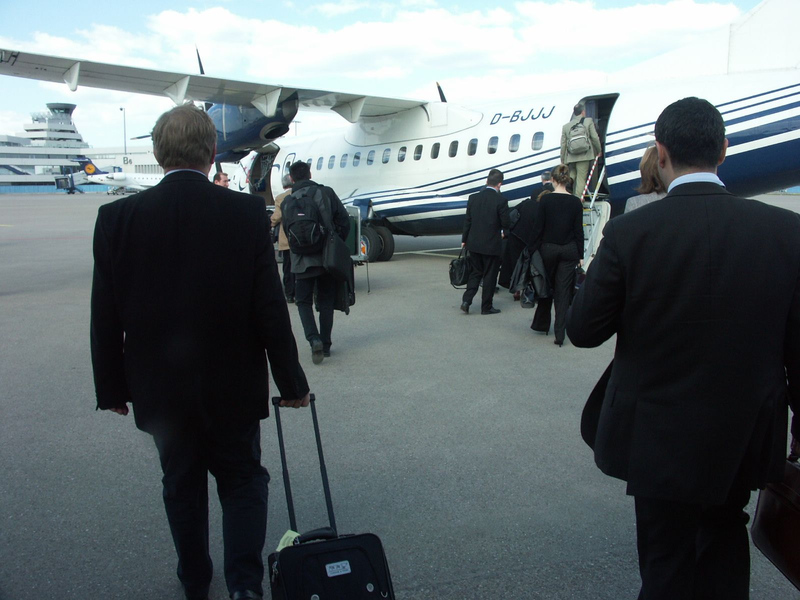 The main certifying body for corporate travel agents is the National Business Travel Association. Through this body you can become certified as a Certified Corporate Travel Executive, Global Leadership Professional or Corporate Travel Expert. Apply to a state or federally approved travel agency. Once you have finished your degree and have gained the necessary certification, you can then apply to a government-authorized travel agency. To learn which authorized travel agencies are in your area, contact your nearest state or federal office building, and ask the receptionist for the staff member who authorizes government travel booking. An example list of California-authorized travel agencies is included in the additional resources section of this article. Always check the educational certification of any online travel education website before signing up and paying for classes.